Clarks Originals Oswyn Lo Size 11 white leather. Condition is Used. They are in good condition and as you can see there are scuffs here and there but check out how little wear there is on the tread. Dispatched with eBay delivery – Shutl 2-3 days. Clarks Originals Wallabee Mens Off White Size UK 9 Brand New In Box. Condition is New with box. Dispatched with Royal Mail Signed For® 2nd Class. Tri Active Run, white nubuck with whip stitch detailing and veg tan trims. Fitting: G (standard). Label size: UK 9, EUR 43, US 10. Sole: Rubber. LINING MATERIAL Suede. UPPER MATERIAL Leather. STYLE TORCOURT SUPER WHITE LEATHER. SIZE UK 8.5 / EU 42.5. UPPER LEATHER. LINING LEATHER. A three part decoupled Vibram?. Clarks ORIGINALS. The Best of British. 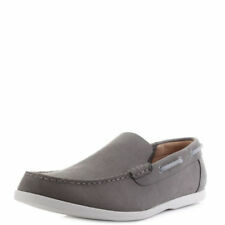 Clarks Springers. Size UK 6. Off white color. Original White Leather Casual Shoes. Size UK 8.5. Lovely pre-loved clean condition. 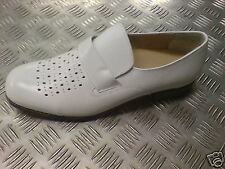 New listing"TRIGENICFLEX 2"Clark's Men's White Leather Shoes size 8.5 G.
G Clarks - Standard Width Fit. 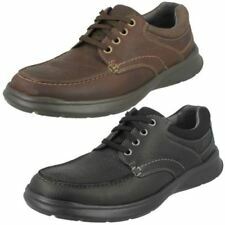 Quality shoes / Genuine Leather Uppers;. UK Size 7 - Pre-worn - Excellent Condition - Hardly Used. 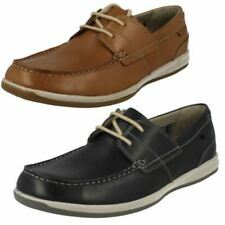 Fashionable, modern shoes by Clarks. The combination of urban style and the latest technologies is a perfect proposition for a modern man who follows the latest trends. 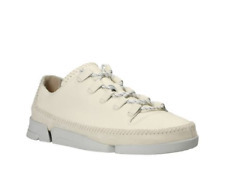 The upper is made of wrinkled natural leather in white. SIZE UK 10G. IN PERFECT CONDITION. White Laser Colourway. WHITE LASER LEATHER. High Quality material use is in a white uniform fit displaying a majestic & elegant result. Free Local Pickup from Keilor East is also available upon request. Colour: White (White Leather -). Exact Colour: White Leather. Size: 9.5 UK. Outer Material: Leather. Ortholite - Insoles play an important role to create comfortable shoes. Clarks Men’'s Kessell Slip Loafers White (White Leather -) 7.5 UK . Outer Material: Leather. Ortholite - Insoles play an important role to create comfortable shoes. We make buying online as simple as it can be. Inner Material: Unlined. STYLE TORCOURT SUPER WHITE LEATHER. SIZE UK 10.5 / EU 45. UPPER LEATHER. LINING LEATHER. COLOUR WHITE. STYLE TORCOURT SUPER WHITE LEATHER. SIZE UK 8.5 / EU 42.5. UPPER LEATHER. LINING LEATHER. COLOUR WHITE.